Proper Installation. Insulation does not perform at its optimal level without proper installation. A professional insulation contractor has the experience and training to install insulation to maximize performance, install attic venting to ensure proper airflow and seal air leaks to reduce outside air infiltration. Knowledge. When you hire a professional insulation contractor, you have access to a wide array of knowledge and training. Professional insulation contractors are up to date on local building codes, new insulation technologies and installation methods. This ensures your project is properly insulated and as energy efficient as possible. Safety. A professional insulation contractor conducts proper safety training for their installer team. 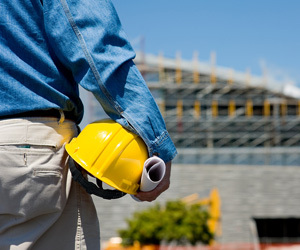 Proper safety training reduces the risk of workplace injuries and helps keep your project on time and on budget. Don’t let the perceived cost savings of installing your own insulation cost you more in the long run. Hire a professional insulation contractor and have the job done right the first time! Contact our office to discuss your next project.